“The Army returned the fire directed at them with aimed shots and inflicted a number of casualties on those who were attacking them with firearms and with bombs”. A Catholic boy, Philip Rafferty (14), was abducted and killed by Loyalists in Belfast. A young Catholic man, Gabriel Savage (17), was shot dead by Loyalists in Belfast. Two Catholic civilians were shot dead by the Ulster Freedom Fighters (UFF), a covername used by the Ulster Defence Association (UDA), as they worked in Rush Park, Newtownabbey, County Antrim. Two Royal Ulster Constabulary (RUC) officers were killed in an Irish Republican Army (IRA) land mine attack on their armoured patrol car, near Forkhill, County Armagh. There was a meeting of the Anglo-Irish Intergovernmental Conference in Dublin. Following the meeting Peter Brooke, then Secretary of State for Northern Ireland, said that political talks were “a possibility, not a probability”. 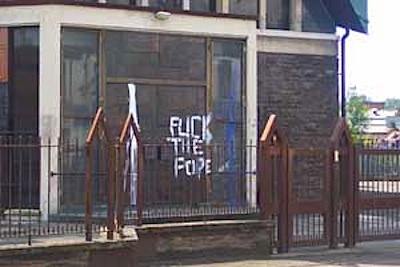 The Loyalist picket of the Catholic church in Harryville, Ballymena, continued. The picket first began in September 1996. 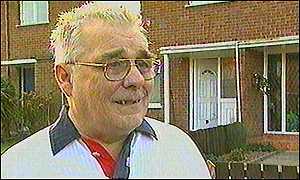 Paddy Fox, a former Irish Republican Army (IRA) prisoner and a critic of the Sinn Féin leadership’s involvement in the Good Friday Agreement, was abducted early on Sunday morning from outside a hotel in Monaghan, Republic of Ireland. Fox was beaten before being released later the same day. 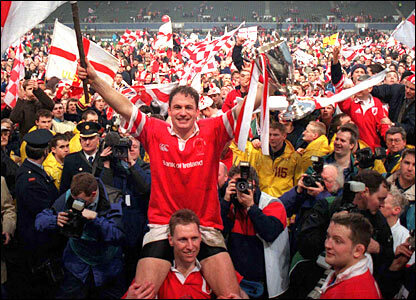 The Ulster rugby team won a decisive victory over the French team, Colomiers, in the European Cup. The game was played in Lansdowne Road in Dublin and an estimated 30,000 Ulster supporters travelled south for the match. Lee Clegg, then a Paratrooper in the British Army, had his conviction for shooting Martin Peake overturned by the Court of Appeal in Belfast. A Catholic worker at the Wishing Well Family Centre on the predominantly Protestant Alliance Road, Belfast, escaped injury when a pipe-bomb was hurled through her car window. The attack was carried out by Loyalist paramilitaries. 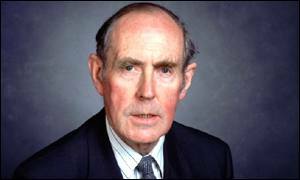 Barrie Bradbury, a Loyalist from Lurgan, County Armagh, was told he could join a personal protection scheme. Bradbury had survived several attempts on his life that were believed to have been carried out by the Loyalist Volunteer Force (LVF). Bradbury had initially been told by the Secretary of State that he would not receive protective measures. Bradbury undertook a judicial review in Belfast High Court but the case was adjourned once the court was informed of the reversal of the earlier decision. 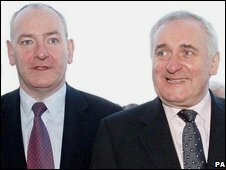 Mark Durkan, then leader of the Social Democratic and Labour Party (SDLP), led a delegation of his party to Dublin, Republic of Ireland, for a meeting with Bertie Ahern, then Taoiseach (Irish Prime Minister). One of the items discussed was the disagreements between Nuala O’Loan, then Police Ombudsman for Northern Ireland (PONI), and Ronnie Flanagan, then Chief Constable of the Police Service of Northern Ireland (PSNI), over the handling of the Investigation of the Omagh bombing (15 August 1998). Found shot in car park, Giant’s Ring, off Ballynahatty Road, near Shaw’s Bridge, Belfast. Found shot on grass verge by M1 motorway, near Donegall Road, Belfast. Shot during gun attack on workers’ hut at Northern Ireland Electricity Service building site, Rush Park, Newtownabbey, County Antrim. Shot by sniper while on Royal Ulster Constabulary (RUC) mobile patrol, Donaghmore Road, near Dungannon, County Tyrone. Shot during altercation between British Army (BA) patrol and local people in Long Bar, Shankill Road, Belfast. Found beaten to death, Adela Street, off Antrim Road, Belfast. Ulster Defence Association (UDA) / Ulster Volunteer Force (UVF) feud. Killed in land mine attack on Royal Ulster Constabulary (RUC) armoured patrol car, Drumintee Road, near Forkhill, County Armagh. Killed by remote controlled bomb, hidden in drainpipe, while on British Army (BA) foot patrol, Rockmore Street, Falls, Belfast.